Replacement front fender for Honda C72 and C77 motorcycles. Rear Bracket bolt Spacing: 4-1/2"
Middle Bracket Bolt Spacing: 5-1/4"
Will work on Honda C72 and C77 models. Also custom applications. Please see dimensions of fender to see if it will fit your bike! 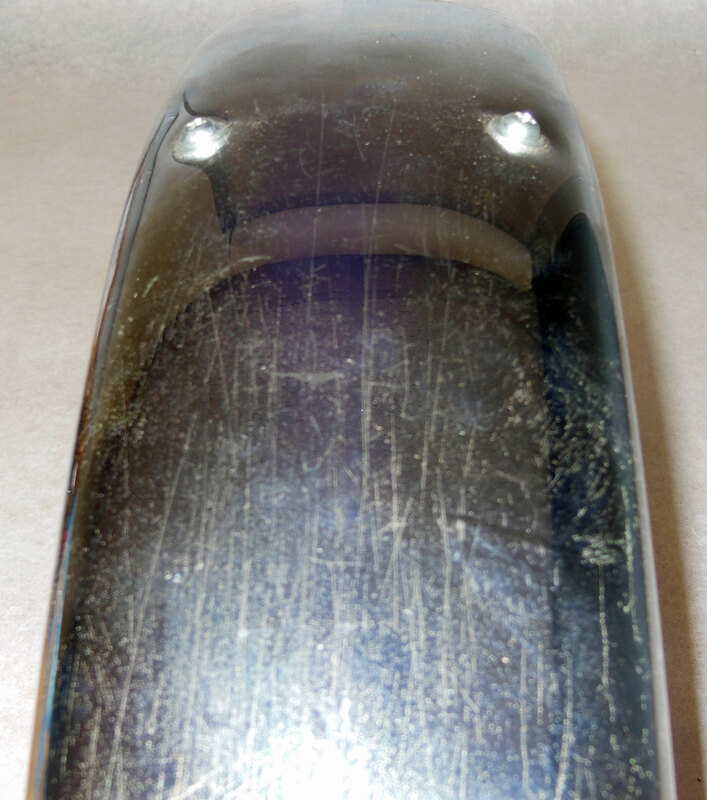 Condition: Rust spots and scratches in the chrome due to storage (see secondary image).